Henry Goh’s Registered Patent Agents recently conducted a visiting lecture for Taylor’s University faculties of biosciences and pharmaceutical undergraduates. 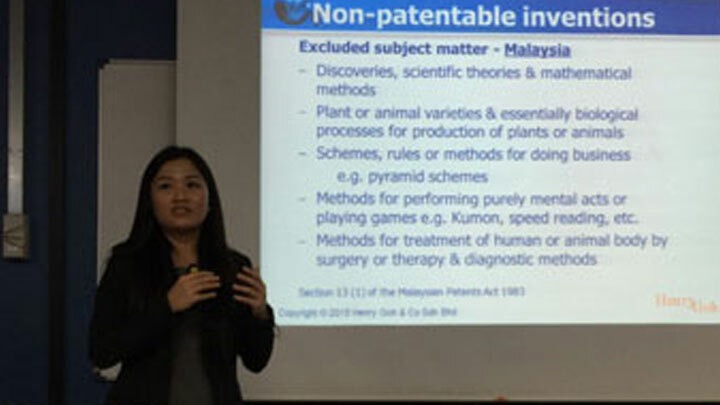 Held at their lakeside campus on 28 October 2015, the lecture covered various aspects of patent work in Malaysia such as technical, procedural as well as the legal aspects of patent protection. Particular emphasis was given to patent issues in respect of pharmaceutical inventions for the crowd in attendance. The lecture is one of Henry Goh’s continuous efforts to promote intellectual property (IP) awareness amongst local universities. The students were also briefed on a career as a Registered Patent Agent. The event was well received and concluded after the Q & A session.